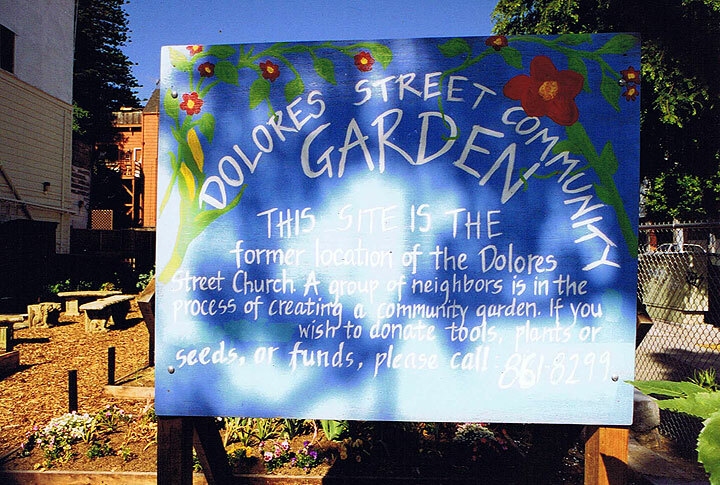 After a fire in the 1990s burned down the church that occupied the corner of 15th and Dolores a community garden took root there. 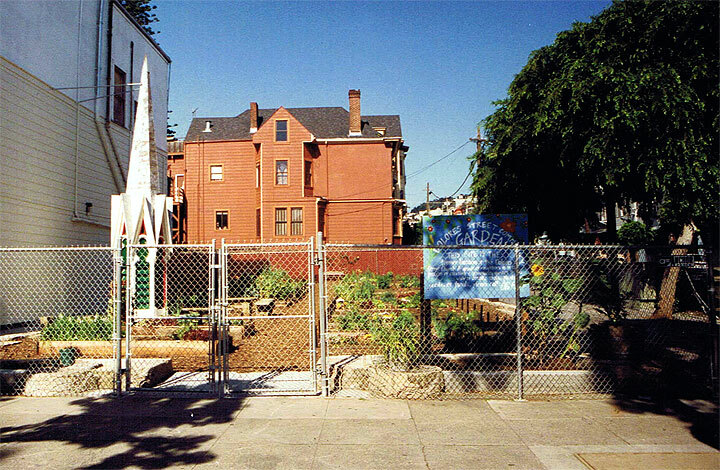 Like so many community gardens, this one proved to be short-lived. But while it lasted it charmed the corner, and featured the steeple that once topped the church before it burned.